You have reached Video to DVD Melbourne, the digital video transfer and backup specialists in Melbourne. ​We provide quality digital transfers for your home & business videos. With 20 years of experience in the video transfer and digitizing industry, we understand the value of your memories, and treat every video tape as if it were our very own. We pay attention to detail and use the latest equipment to transfer your tapes to DVD, Hard Drive or USB drive. ​Contact us by phone or email to get the best price in Melbourne, Sydney, Gold Coast and all over Australia. Delivery is an additional charge. We provide exceptional customer service and pride ourselves on preserving your video memories in the highest quality. ​Video to DVD Melbourne offers after hours drop offs and pick ups for your convenience. We now cater for after hours drop offs and pickups by appointment or self service with our new and convenient safe box with a secure code. And now payment can be conveniently made using credit cards or Paypal on site. Contact us for more info.. Right now your old wedding,family, holiday and other memories on VHS, VHSC HI8, Video 8, and Mini-DV are rusting away, losing quality by the day. The pictures are fading, the sound is warping. And you probably don't have a Video machine to watch your precious memories. Please call or Email us for a Free quote and the best price. Rewinding your audio cassettes and replacing the needle on your Record player is frustrating for even the most patient audio lover. We can preserve the audio from your LP Records and Audio Cassettes so that you can listen to them again and again. Long live digital. Oh, and please email or call us for the best price. 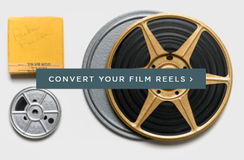 Instead of letting your precious 8mm and 16mm film reels deacy in a box at the bottom of your closet, haul them out and send them to Video to DVD Melbourne so we can transfer them to DVD or USB. You can then relive the good old days, and pass on the memories to your children. It's a win win for everyone. Contact us on 0403 471 661 or Email us for a Free quote and the best price.